When in doubt, wear a dress. 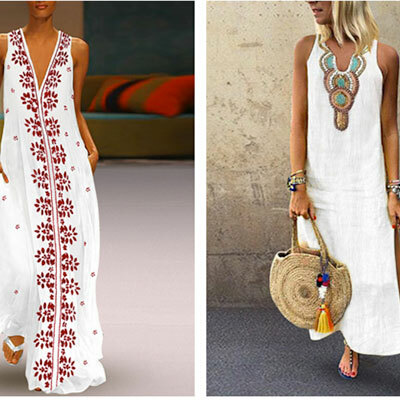 I am loving the look of casual maxi or midi dresses, currently being worn any time of day, usually in warmer weather. Where I might wear nice trousers and a top, many gals are donning a chic, casual and comfortable long dress, and looking fabulous. These dresses are flying out of stores so keeping this article current was a challenge! If one of these dresses has sold out by the time you read this, wander around the site because they have new dresses coming in all the time. Roberta Roller Rabbit has easy comfortable all cotton dresses. This is the Ombra Long Kurta dress in navy blue in an ankle length. Many Roberta Roller Rabbit are full- length, but you can shorten them to any length that’s comfortable for you. It is made of 100% cotton, it is semi-sheer with a ¾ length sleeve. It can be machine-washed. $175.00. This Johnny Was dress is described as ‘boho chic’. It has a scoop neck with buttons, is maxi length and needs to be hand washed cold and hung to dry. $320.00. Banjanan always has a piece or two I can’t live without. 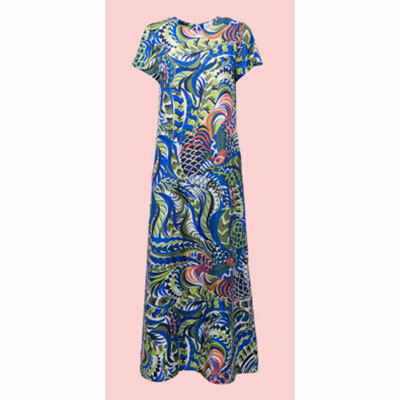 This Iris dress is a blue floral print with a back neck opening and goes on over the head. It has a wide belt and side pockets. It is 100% cotton voile. $320.00. This t-shirt dress looks like the perfect soft, lightweight dress to throw on after an active day. You will look nice and be comfortable at the same time. It is made from rayon and has a little stretch. It has two side pockets and is elastic at the waist. It can be cold water washed and hung to dry. It comes in 15 colors and prints. $23.00. 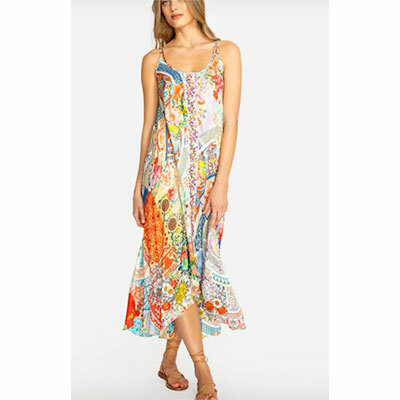 This dress by Johnny Was is called the Kelly Scarf-Print Short Sleeve Maxi Dress. It is A-line with cap sleeves and made from rayon. The fabric has a slight ‘distressed’ effect. It is machine washable. $320.00. 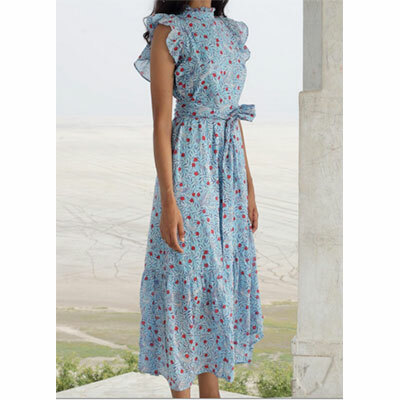 This dress by La Double J. has a three-tiered skirt and a collar that can either be buttoned up or unbuttoned. It is made in an unlined silk twill, has side slit pockets and a side zipper. It is available in seven different patterns. $795.00. This sophisticated, ankle length, T-shirt style dress is made in unlined silk twill with side slit pockets and a back zipper. It comes in 19 different fabrics. $610.00. We Are Leone makes gorgeous silk robes that are designed to be worn as dresses, or long cardigans over pants or skirts. It has a hook and eye closure and a silk belt. 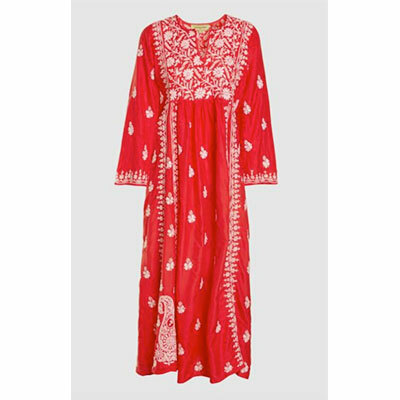 It is made from 95% silk with cotton trim. Note that they run small – a M/L, the largest size, is a U.S. 6-8. $590.00. 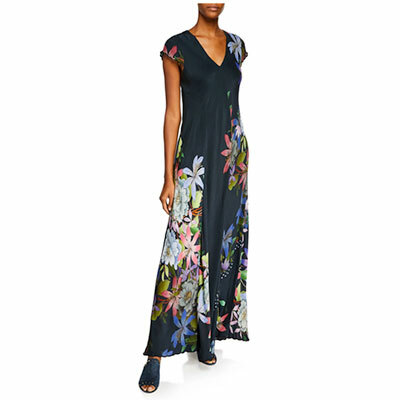 This midi wrap dress is in a floral print with fluttery short sleeves and a low-cut neckline. It is $211.00. 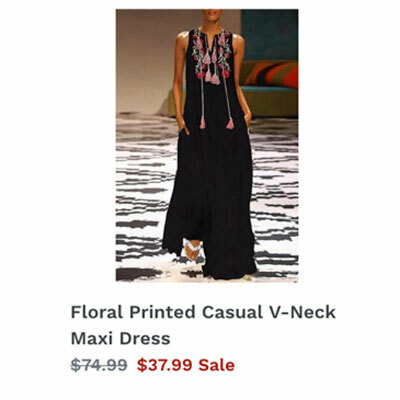 I found this site from an ad on Instagram (they knew I was looking for long casual dresses!) and I really liked what I saw. I ordered a couple that I liked (who could resist for $30.00 each) and here’s what I think. They are exactly as pictured. The pattern is only on the front, for the price and for being casual, they are great. The two dresses pictured above are $33.75 and $27.79. Estellish is very similar to Daphnysale above, but not identical. They offer many of the same dresses at different prices (usually a little more) but have more variety. It’s worth checking out. Les Reveries is a NYC based design company founded by by sisters Wayne and Ai. 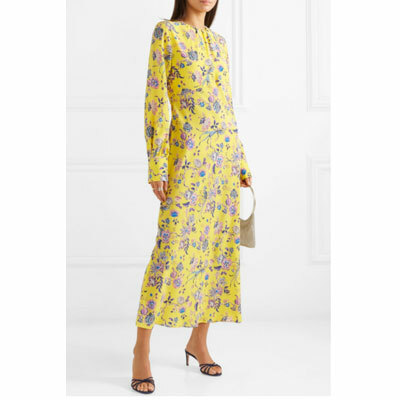 This dress is a floral print silk crepe de chine, fits true to size and the fabric has a slight stretch. $655.00. This is a hand embroidered silk dress from the Muzungu Sisters. The designers are from the UK, but the embroiderers are artisans from nine different countries. The style is empire with pleats in the front. It pulls on over the head. The dress looks so relaxed and comfortable! $615.00. This Johnny Was dress is called the Kara. It is made from silk twill and has a slip underneath. It can be machine washed cold and tumbled dry. $390.00. As an alternative here is a jumpsuit from the site that found me on Instagram. 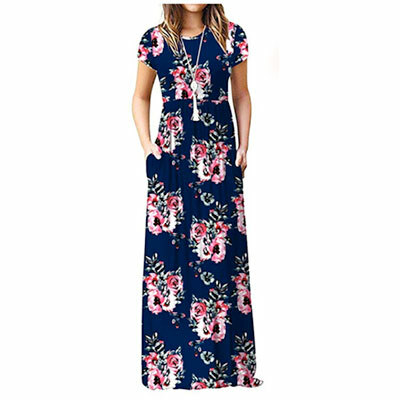 I have ordered from them, but only one of the long dresses. This jumpsuit comes in four color variations and looks very comfortable. $26.86. 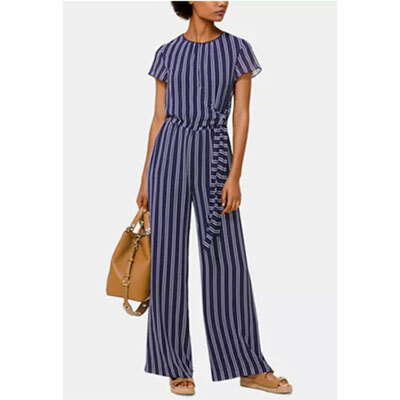 This snappy jumpsuit is from Michael Kors. It has a hidden zipper closure at the back, short flutter sleeves, ties at the side of the waist and is machine washable. It is on sale for $66.00. 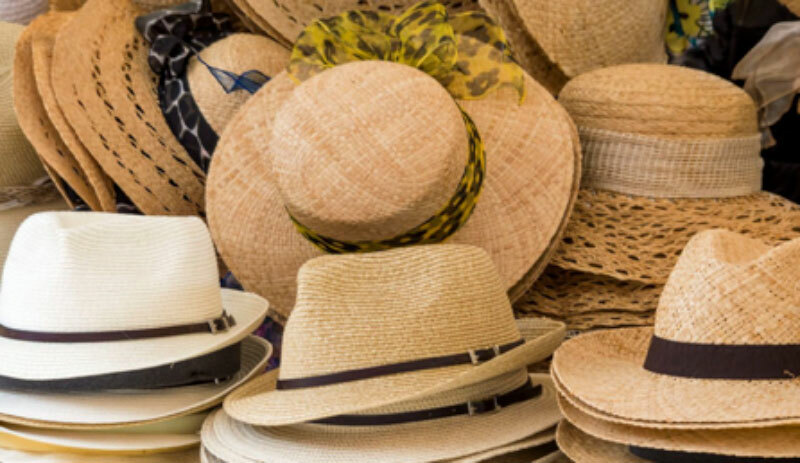 Once you’ve chosen a dress, complete the look with a summer hat. 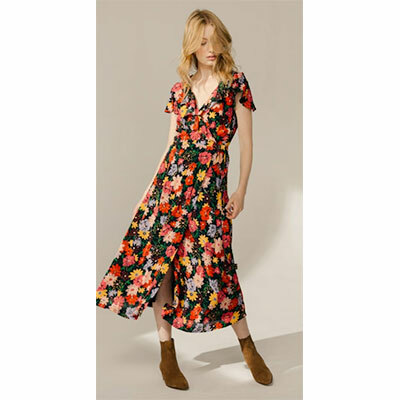 Note: It appears that Europe is more firmly in the grips of the long casual dress trend, so several of the above sites are in the U.K. La Double J had a great return policy that was easy and clear. Monsoon was doable but more complicated. I have not ordered from Muzungu. Before you order, check the return policy to make sure you can deal with it.